Front-row, center. So close, I could see some women onstage didn’t shave their legs or under their arms. So close, I could feel their sweat as they catapulted their bodies in space, I could smell their feet. So close, I could smell myself. In the dance world, there is a heartbreaking word: Pina. Philippina ‘Pina’ Bausch; the legendary, German modern dancer/choreographer and merciless, chain-smoking self-taskmaster whose deeply human, taboo-bashing work first brought dance and theatre together with her exhilarated, cross-generational troupe: Tanztheater Wuppertal Pina Bausch. Pina, who died in 2009 at the still tender age of 69 was a fearless creator and natural-born provocatrice whose presence onstage was a kind of levitation. She had the longest arms I have ever seen, and I swear they reached the stars. I was a teenager eye-rolling classical ballet and looking for trouble when I first saw Pina’s Tanztheater Wuppertal perform ‘Kontakthof’ (Meeting Place) in Montreal. It gave form to Pina’s obsession: our human struggle for connection and love. It revealed, it bared me, gluing my entire being to the front-row seat. As crowds of dancers ran back and forth across the stage, pounding heels in tight suits and cocktail dresses, hurling their howling, hairy bodies at each other; the cavernous room and my heart rocked. When it was over (it never really ends), I left; drenched in sweat and inspiration. Mine, the dancers, the theater, life itself. 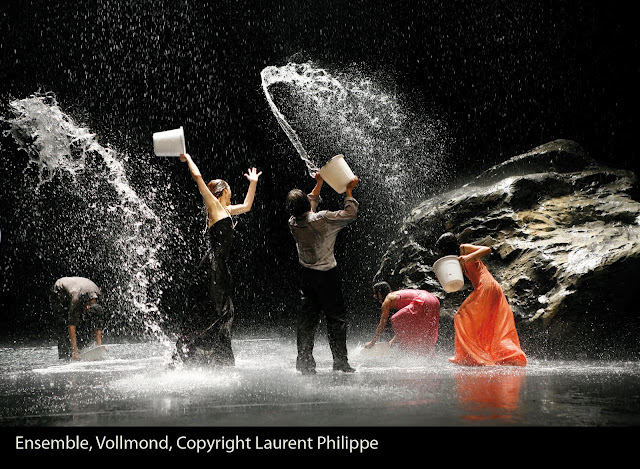 Pina Bausch’s ground-breaking tanztheater and the devotion of her outstanding troupe is brought to life in Wim Wender’s visceral 3-D tribute film PINA (nominated for Best Foreign Film Oscar 2011). Mea culpa, I extended the pleasure and took my sweet time to see it. If you haven’t, what are you waiting for? Wonderful Blog Brenda! I love Pina she s my hero! When are you going to come to the jungle ? Would love to do a dance /video here with you!!! Ireni Stamou, you are one of the most beautiful dancers I have ever seen. I will be there as soon as I can. We’ll do a tribute to Pina in the water. I love Pina Bausch. I was in a dance theater group and we did a tribute to her. She was one amazing lady and artist. Great post! I’m so jealous you got to see them perform. How amazing that you got to dance her work. I have been reading a lot of your posts, and I am captivated. I love your variety of topics and how your words never fail to captivate me and open my eyes to something new. Keep writing, it is amazing. Inspiring, Brenda. Interestingly, I was looking up dance classes to take a couple of weeks ago – it’s been too long! Dance class – GREAT idea. How did I miss this post way back when? My experience was exactly as you describe yours – I was young, so young, and right at the front of the theatre, shockingly close, smelling the sweat. And my world was blown open…. I just have to watch the trailer and I’m inspired. Make sure you watch the video on this post of Pina herself reaching for the sky.